BARBARA KLEIN: Welcome to THIS IS AMERICA in VOA Special English. I'm Barbara Klein. 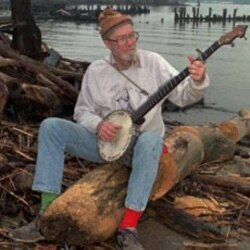 This week on our program, we explore American folk music, the music of the people. 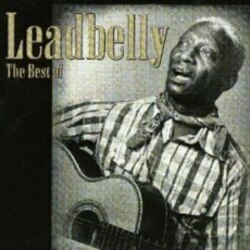 Huddie Ledbetter, the singer and guitarist known as Ledbelly, first recorded "Good Night Irene" in nineteen thirty-two. Since then more than a hundred other versions have been recorded. "Good Night Irene," was a huge hit for the Weavers in nineteen fifty. 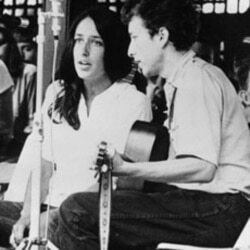 In the nineteen sixties, folk singers like Joan Baez and Bob Dylan protested the Vietnam War. Bob Dylan's, "Blowin’ in the Wind," became a big hit for the folk group Peter, Paul and Mary in nineteen sixty-three.